The holidays. A time for caring. A time for family and friends. A time for…yeah yeah yeah. It is a time for fewd and booze, people. That said, we can get into the holiday stuff. This is certainly true after a few beers. Or ten. So we decided to give them a shot. Yes, it’s Christmasy, you people! 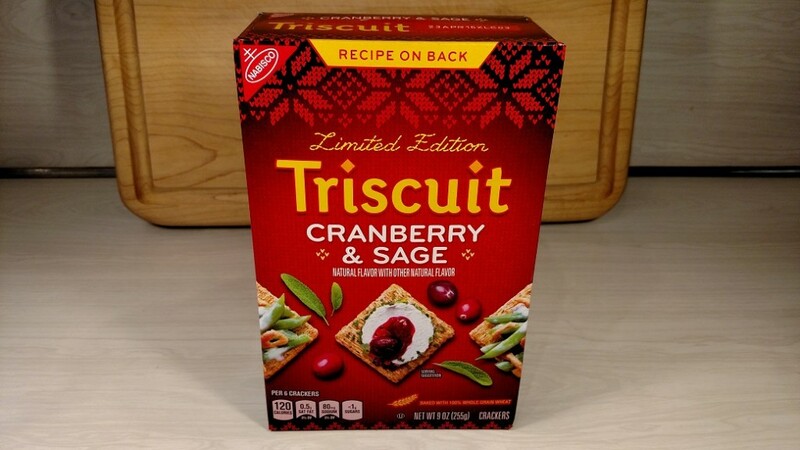 And we like regular Triscuits, so why not?! 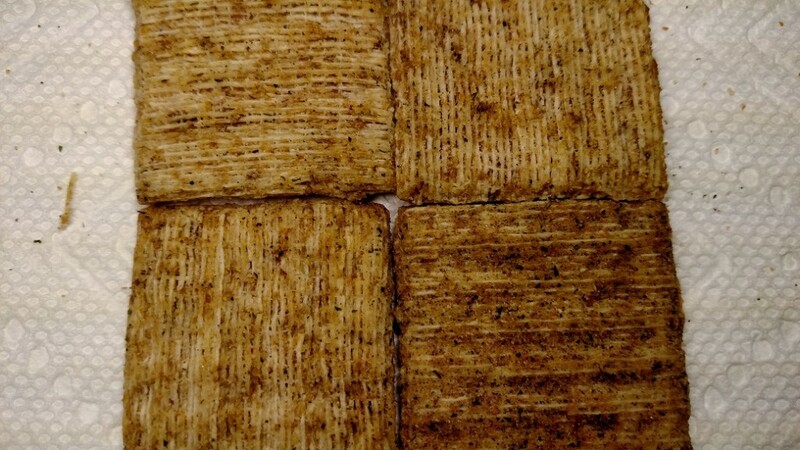 Truscuits now come in a million flavors. 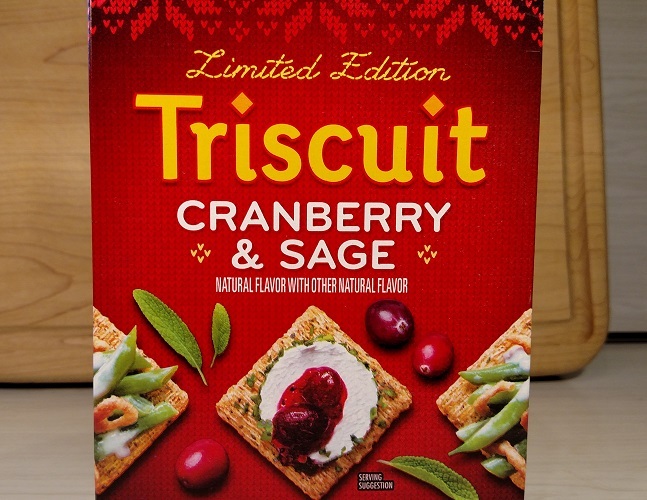 Interestingly enough, this type is not featured on the Triscuit website. The box is marked, “Limited Edition,” but there is no indication that they are new. Herman did some sleuthing, and discovered that these have been out for a while. They are not new this year. He is quite the Sherlock, you see. See the snowflakes at the top of the box?? Snow goes more with Christmas than Thanksgiving, don’t you think?? After all, if you are reading this Christmas week, our site is snowing! Our site wasn’t snowing Thanksgiving week, now was it?? Enough. Back to the point. 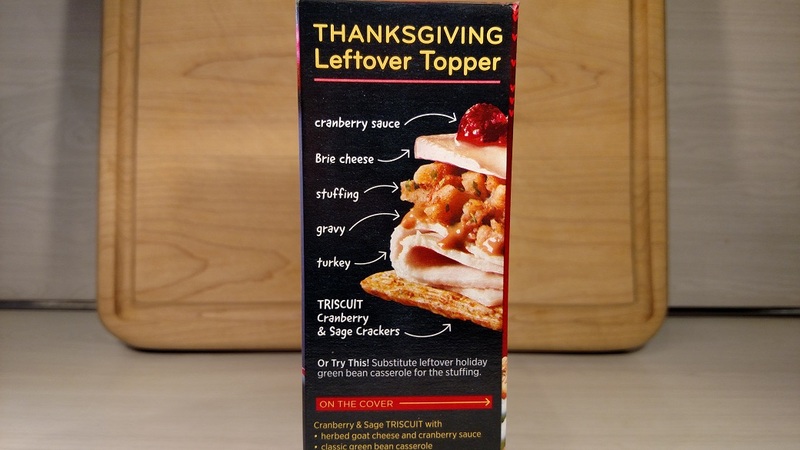 These probably start appearing at Thanksgiving and go through Christmas. Again, we are detectives!! Look! 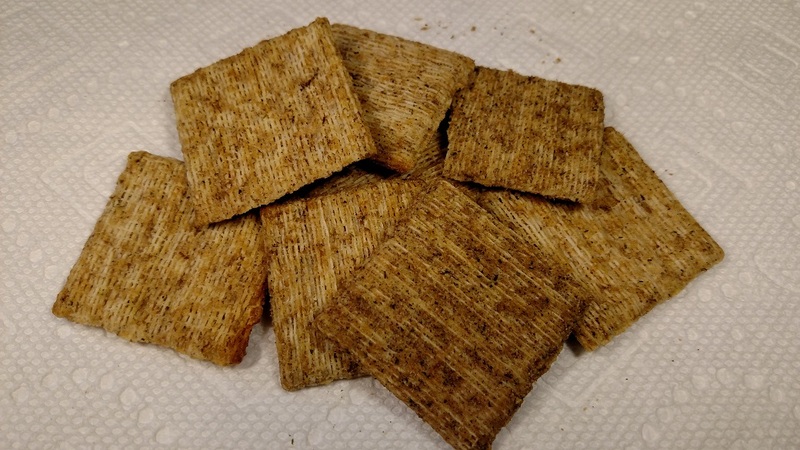 Triscuits! With Cranberry & Sage! When we opened the box, we were hit with a sweet smell. We smell berries (HO HO!). We didn’t smell as much sage as we thought we would. It looks like there is sage on them, though. Mmk then. The actual taste hits fast and hard (we are leaving this one alone!). It isn’t completely unpleasant, but it is rather strong. The initial flavor is sweet, and then it gets kind of tart. Then the sage hits. The berry flavor hits both of us as raspberry though, not cranberry! Isn’t this supposed to be cranberry??!? We don’t really taste it. At all. We DO taste sage, however. Lots of it. It isn’t overpowering, but it is unmistakably sage. After taste testing, Herman detected brown sugar. Again, he is quite the detective! Denny looked at the ingredients, and there is brown sugar on these suckers. If this website doesn’t work, Herman is going to be Sherlock Herman. See the sage? SEE IT??? The price was normal Triscuit price, whatever that is. Once again, Sherlock Herman was drunk and doesn’t remember what he paid. Overall, Herman likes them. He says they are interesting. Denny thinks that they have a funny taste. He thinks the berry flavor is a little off, and just too strong. We aren’t really sure what you could eat these with. We suppose you could do the recipe in the pic above. But, the flavor is strong enough on these crackers that we aren’t sure what you could realistically mix them with. Further, we aren’t sure how many can be eaten at once. Herman says he can eat a handful. Denny says no way. Herman wonders how these would taste with beer! Shouldn’t he already know??! The bottom line is, Herman likes. Denny doesn’t. A Fewd Fight?? No. It’s Christmas! No fighting on Christmas! Herman says go try them, and have a Merry Christmas!